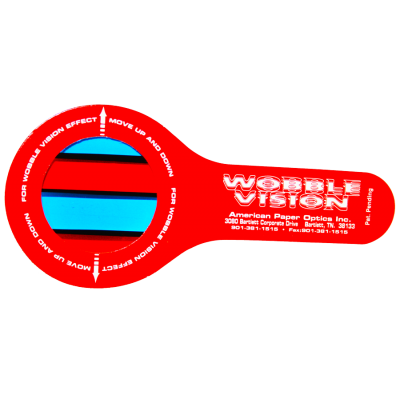 Wobble Vision -With Wobble Vision your next print, website, direct mail, or on-pack premium can swing, scream, shake, and quake, getting you the results and impact you need. Using our patented Wobble Wands and our expertly "Wobbled" images, consumers interact with your advertising messages, bringing them to life. It is fun, works every time, and is addictive! In the last twenty years we have sold well over a BILLION 3D glasses mesmerizing people all over the planet.